The theme for August from the National Year of Reading 2012 is “question”. 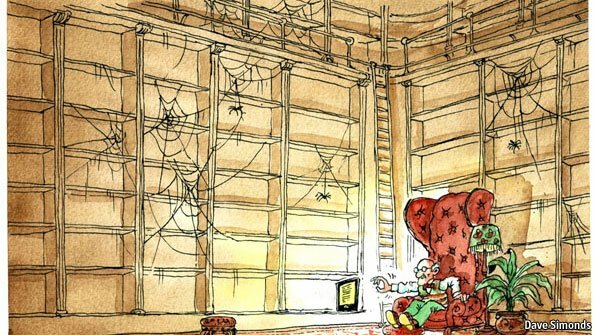 What will a library look like when all the books are eBooks? Will physical books survive the tsunami of eBooks? 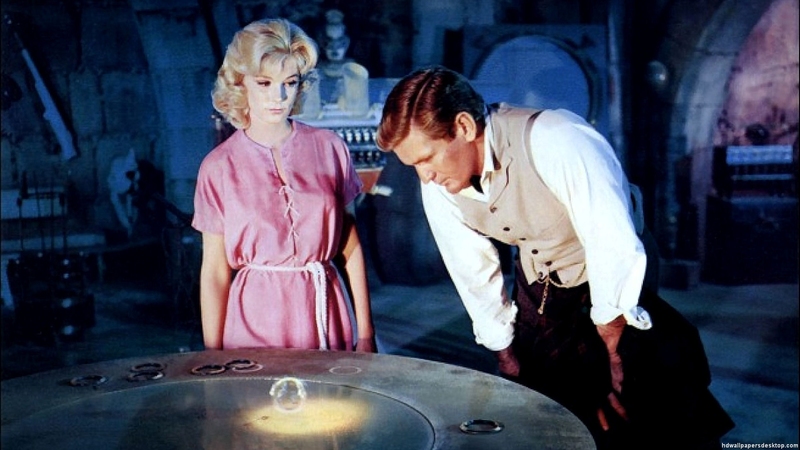 Will the prophesized vision of the library from the original Time Machine movie be our reality? I recently tried to remind some colleagues about the scene from this movie where the dusty books in the Grand Old library disintegrate at the Time Travellers touch, and they all looked at me with blank stares alarmingly similar to the blank stares of the future human race in this movie! How will serendipitous discoveries occur? How will the curious readers find great reading material unfettered by firewalls, logins, advertising, and Big Brother watching? Will the “library as haven” as quoted by Alan Bennett become a quaint memory of a bygone era? This article reports Alan Bennett and others campaigning against library closures in the UK last year. The Library Book is a collection of short stories about libraries offered by Alan Bennett. One story The Defence of the Book by Julian Barnes provides a vision of one possible future if library closures occurred.